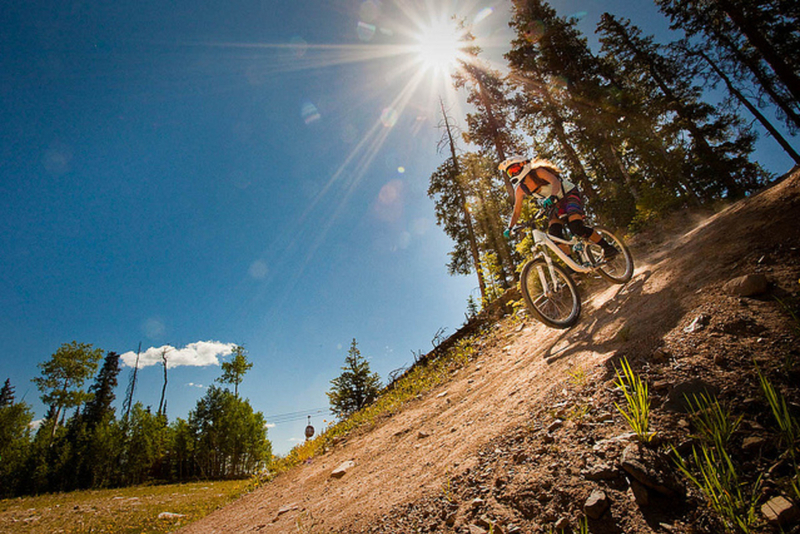 The Snowmass Bike Park offers both lift access to progressive downhill trails and access to one of Aspen’s favorite cross-country mountain bike trails, Government. The Elk Camp Gondola and Elk Camp Chairlift run daily late-June through early-September and on weekends through the end of September. Daily, 3-day, and summer passes are available. 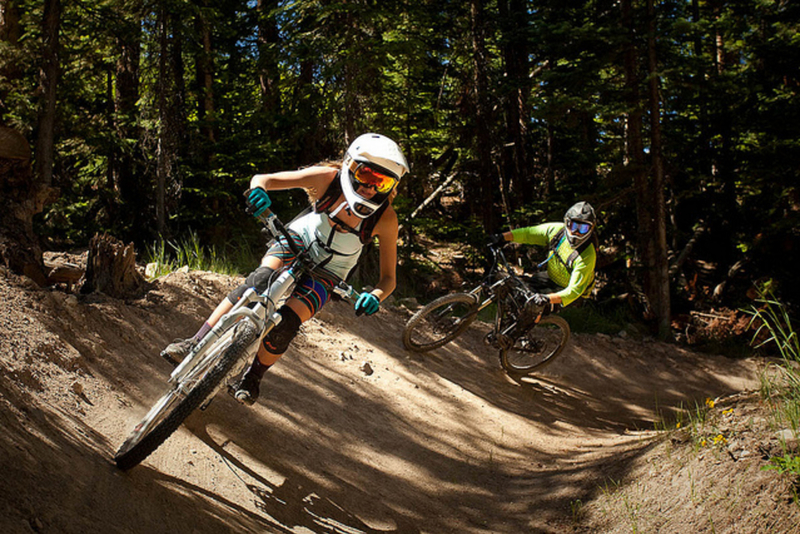 The Snowmass Bike Park offers both lift access to progressive downhill trails and access to one of Aspen’s favorite cross-country mountain bike trails, Government. The Elk Camp Gondola and Elk Camp Chairlift run daily late-June through early-September and on weekends through the end of September. The lift-accessed trails are not just designed for high-speed gravity junkies, Snowmass Bike Park features green, blue and black trails ensuring every level of biker can progress in a comfortable manner. 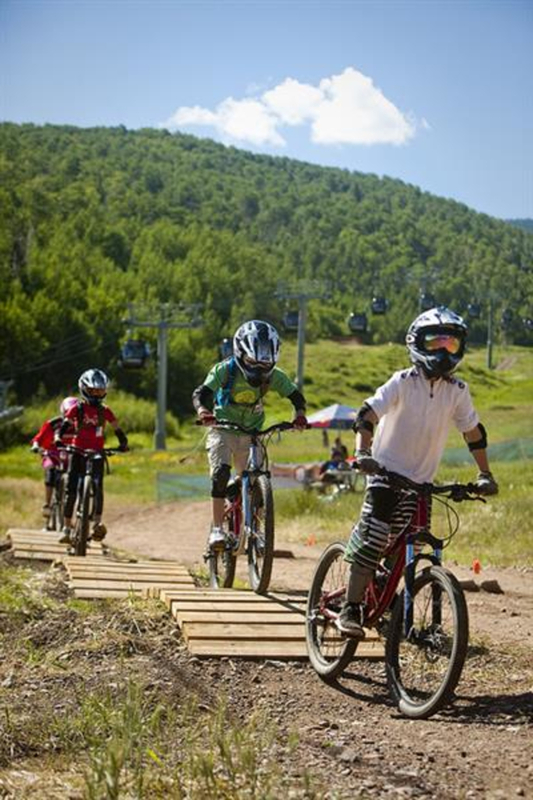 The beauty of Snowmass Bike Park is that there’s something for just about any biker of any age. There are several great offerings for adrenaline junkies, as well as fitness-minded cross-country bikers and intermediate and beginners looking to improve their skills, whether it be on downhill trails or cross-country trails. From the top of the Elk Camp Chairlift, advanced riders can take the Vapor Trail, a downhill trail that flies across open ski runs and through forested sections. This trail will take you down to the top of the gondola, where you can get on Snowmass' most popular trail, Valhalla. Valhalla is a freeride trail with upwards of 30 table-top jumps and huge, packed-in berms. This is a great trail to work on your jumping skills, or to just see how fast you can go. Beginners and intermediate riders will enjoy the new Verde trail, a smooth, flowy green run that provides the perfect terrain for getting comfortable going downhill on a mountain bike. Easy Rider is a great blue run that provides more variable terrain and gives intermediates the opportunity to challenges themselves without being in over their head. Note: riding Government on a downhill bike is not recommended. Less aggressive cross-country bikers will appreciate the Village Bound Trail, a beginner trail that climbs most of the way up the mountain. This trail winds through gorgeous aspen groves that are bursting with wildflowers in early July. Purple lupines and columbines abound and the views of the Rocky Mountains don't disappoint either. No matter your experience, preferred style of riding or age, Snowmass Bike Park appeals to a variety of mountain bikers. 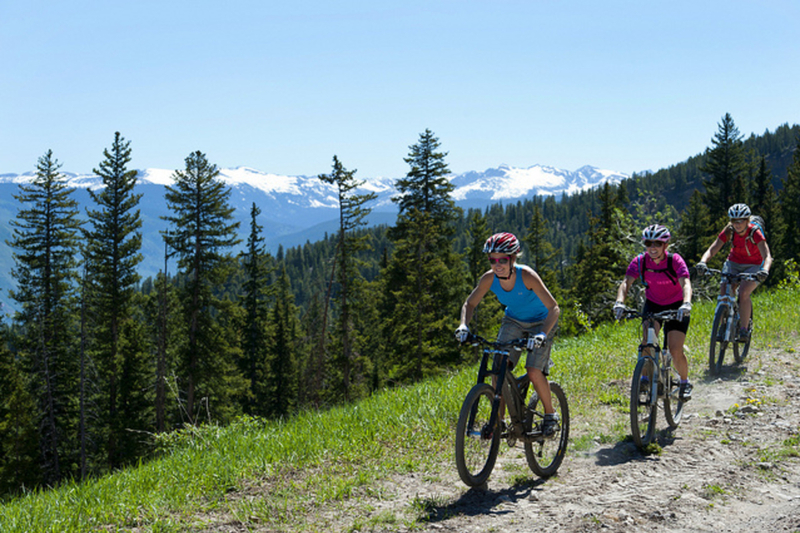 Snowmass is also a popular destination for cross-country biking enthusiasts. Tom Blake and Anaerobic Nightmare trails, accessed from Owl Creek Road, provide those who enjoy climbing uphill with access to the famous Government Trail, which traverses Snowmass to Buttermilk and then descends down Buttermilk's Tiehack area. Government is also accessible via Valhalla. Parking is free in the Snowmass Base Village parking garage during the summer months. Full-face helmets and protective equipment is recommended for downhill bikers and can be rented or purchased at Four Mountain Sports across from the Elk Camp Gondola. A day pass costs $39 dollars and a season pass costs $199, although there are special deals for those who hold season passes to Aspen Snowmass during the winter months (check the website for most current prices). 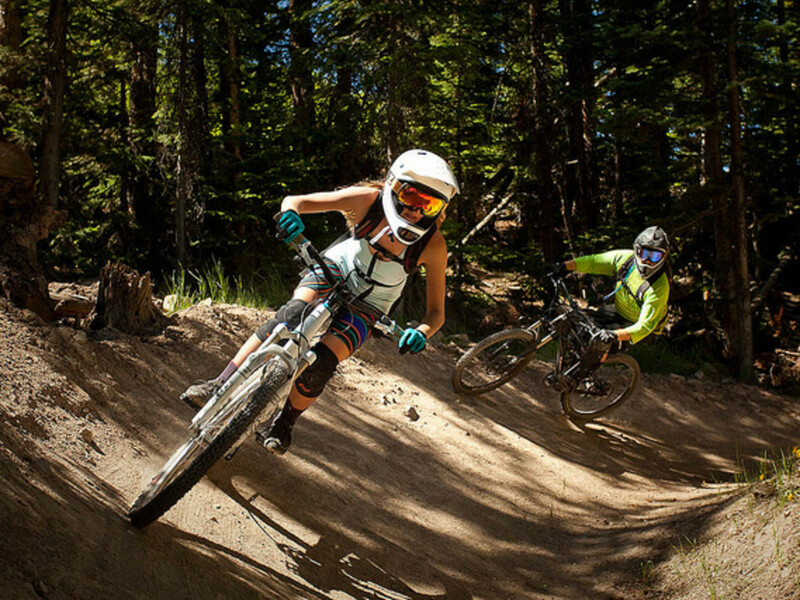 Snowmass Bike Park also offers a free skills clinic (with bike rental and lift pass) daily at 10:30 a.m., 12 p.m. or 2 p.m., as well as more advanced clinics and private lessons.